Snapshot measuring 2.75 x 4.5 inches. Written on the back in pencil is Beulah the first year of her sickness. It’s a charming enough image, but then the simple words on the back give it such resonance. I immediately have questions. What was her illness? How long did it last? Did she survive? Where was this picture taken? Did she live in a rustic home, or was this perhaps a cabin at a spa where she was taken for a cure? How old is she (she looks like she’s barely a teenager, but I could be way off)? I could make educated guesses about her circumstances and her story, but I really can’t know for sure. Regardless, my heart goes out to her across all those years. A Girl Scout camps I used to go to had been a tuberculous hospital for a period of time. There were frequently ghost stories told involving dead patients or suicidal caretakers. Wow, what a wonderful/awful story! And I was thinking along the lines of tuberculosis, but I had no way of beings sure. Haunting. The inscription would make a good title. Agreed. I was tempted to go that route. Wow. This story takes my breath away! Having ME and even now doctor’s not having a definitive diagnosis tool, (I have had the illness at various levels of severity for at least 12 years but was only diagnosed 12 months ago,) I immediately think, could that be why the name of the illness is not mentioned? Probably not, but I look at her and think about how many things we have wiped out of the common disease spectrum and yet how we are still struggling to find out about others (Cancer, MS, ME etc). Beulah is not a common name. Do you know which state or province this was taken in? Yes, it’s a charming image, made moving by what’s written on the back. I’m guessing the illness wasn’t identified mostly because it was already well known to the owner of the photo. 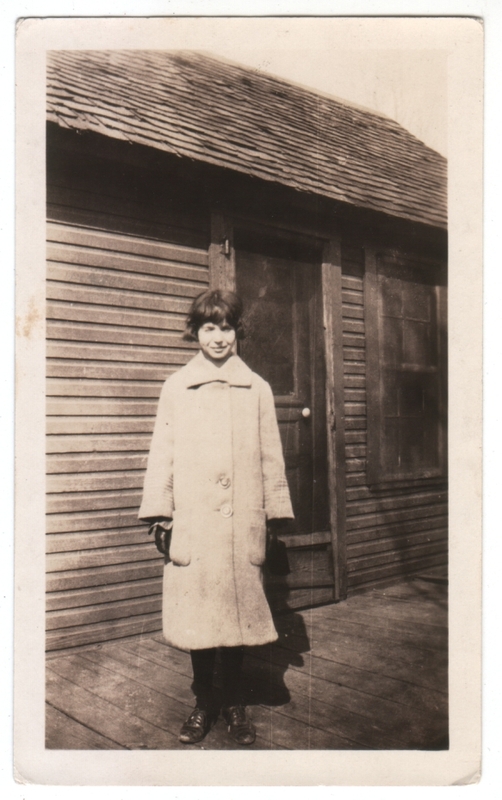 Also, I think there was more discretion in those days, with words like “cancer” and “consumption” spoken in hushed tones, so writing it out on her photo might have seemed impolite. And no, sorry, I don’t know the location. I would have put that sort of information in the description if I had it. Thanks Matt for your long reply. Times do change.